Apologies but we are currently closed. We will update this page as soon as we are open again. Please email info@selcothfisheries.com with any queries. 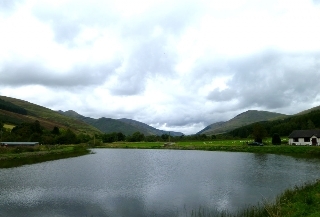 Only 4.5 miles from Moffat we offer quality trout fly fishing in the green and tranquil hills of the Moffat valley. 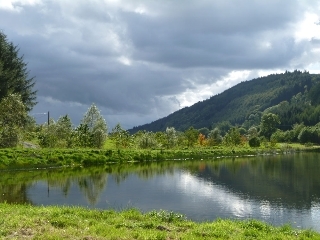 If like us you believe that fly fishing should be enjoyed in beautiful surroundings then you won’t be disappointed by Selcoth Fishery. We stock rainbow trout averaging 2-3lbs and fish only 5 rods per day. Tickets are £20 per rod per day with a first three fish limit (then catch & release). We are open from 9am-5pm Monday to Saturday. Parking, picnic and toilet facilities provided. Season membership is available upon request. From Moffat, take the A708 towards Selkirk. Two and a half miles from Moffat you will pass through a set of traffic lights. Continue on for two miles and you will see the Selcoth Fishery turn on your right.